Today is the day! 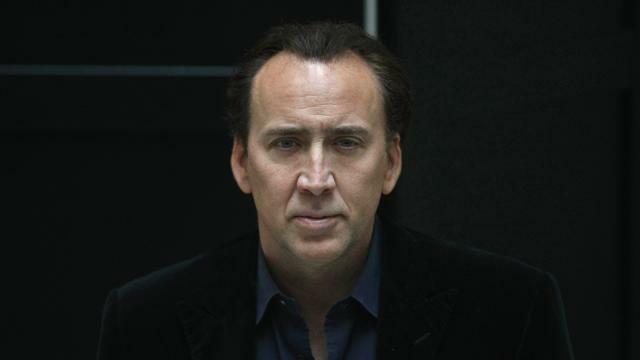 Today is the day that Mike and I will watch Best of Times and officially begin #CageClub! Ever since I fell in love with Nicolas Cage’s filmography a few years ago, I’ve longed for a time where I (a) owned of his movies, and then (b) watched all those movies. And now, thanks to patience, good sales, and a friend willing to take the journey with me, that time is now. Unless things take a real weird turn, the structure of #CageClub will be three movies (with respective reviews) per week — a review posted by each of us every Monday, Wednesday, and Friday. We’re also going to record a podcast, which will be released weekly. (Probably.) The podcasts will capture our initial thoughts after watching the movie — with Cage fresh on the brain! Then, we’ll go back to our caves and write our reviews and then move onto the next movie and do it all over again. I’m really, really excited to start this. Mike and I have both been trying to watch a new movie per day, every day in 2015. He’s pretty far ahead of me, but it looks like we’re both going to successfully complete the challenge. We’re both excited because this will give us a clear list of movies to watch to add to our tallies, and a place to talk about them. Important update! We’ve added a 73rd movie to the mix: The Death of “Superman Lives”: What Happened? It only feels right that we cover it if we’re covering Cage’s career. That’ll come up in a couple months — we’re planning to cover it when the movie should have come out, which would have been 1998/1999. Out of the 73 movies Cage has made, I think I’ve seen 29. Nearly all of those are from the mid-90s on, however, which means the next few months are going to be almost entirely brand new for me! That’s awesome. I’m so excited. That’s enough rambling. I’ll have enough words to share on here in the coming months. Let’s get this party started!